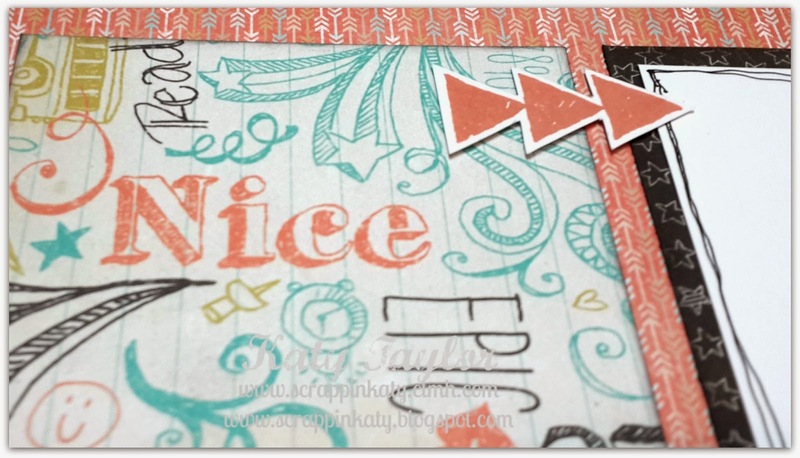 Welcome to this month's SOTM Blog Hop featuring this CUTE stamp set! 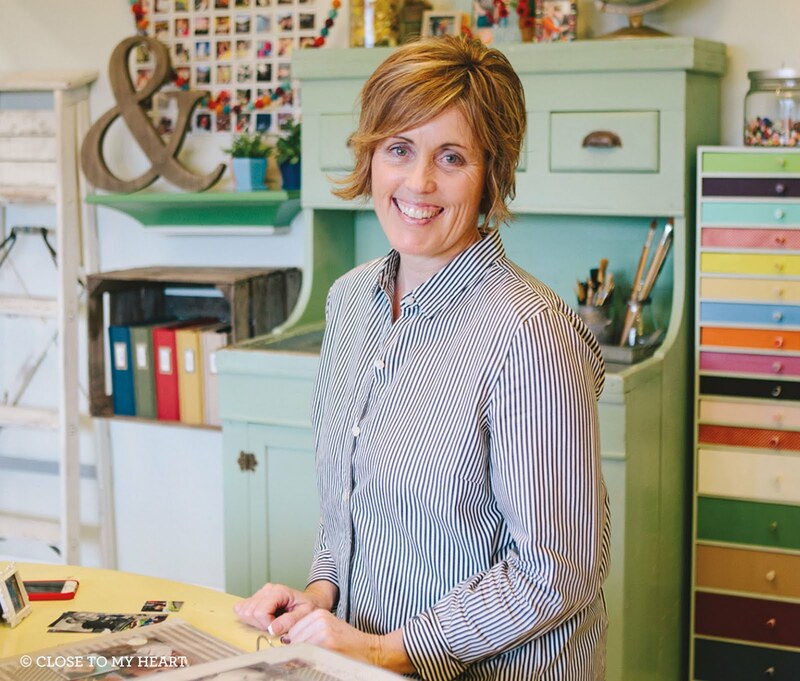 If you've come from Lauren's Blog, you're on the right track...keep hopping 'till you get back around to where you started. If you're starting here, no worries...just use the link at the end of this post to hop to your next destination. I'll see you when you get back! 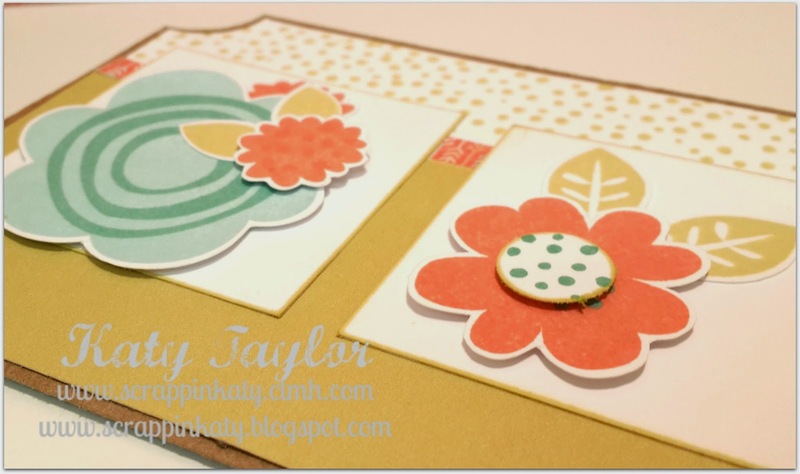 I decided to play along with the MOJO Monday #369 Sketch this week and I love how these little flowers filled up the long space...AND...I'm using CTMH's IG #ColorCrush Challenge as well...LOVE the crispness of the colors! 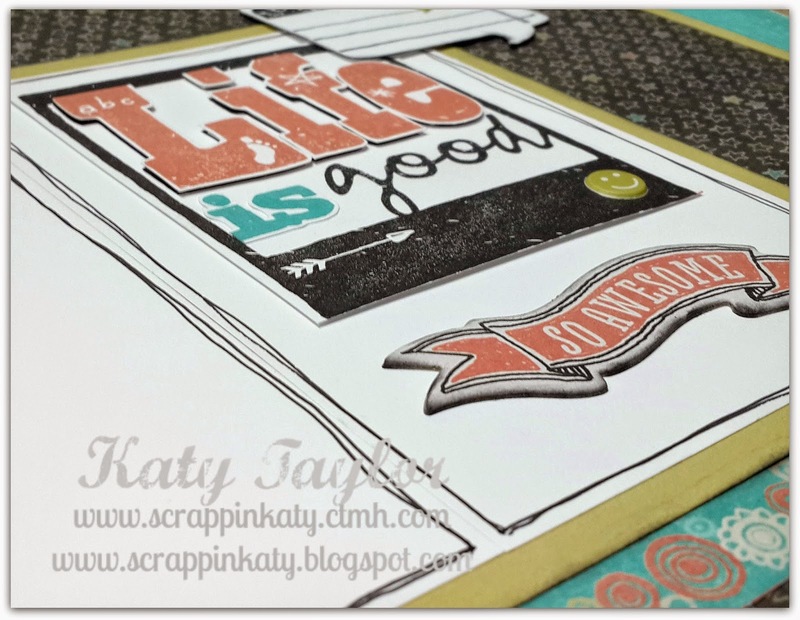 The card base is from CTMH's Art Philosophy Cricut Collection. 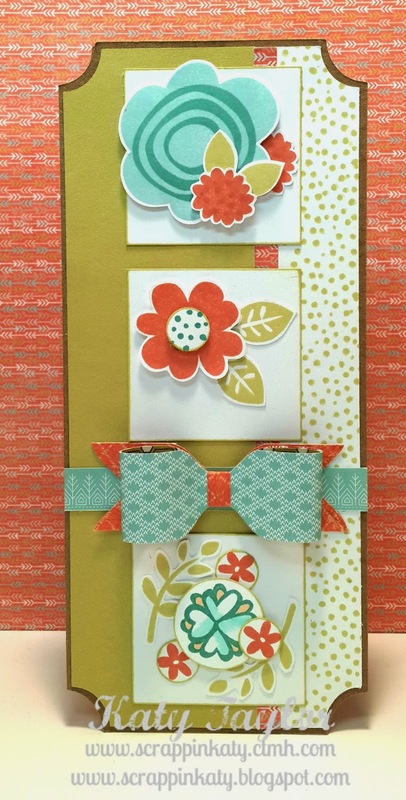 I used Snowhaven, Seaside & Wanderful (inside of the bow to hide the Cranberry color of the Snowhaven) paper packets for the bow...***BOW TUTORIAL*** will be on the Blog next week! 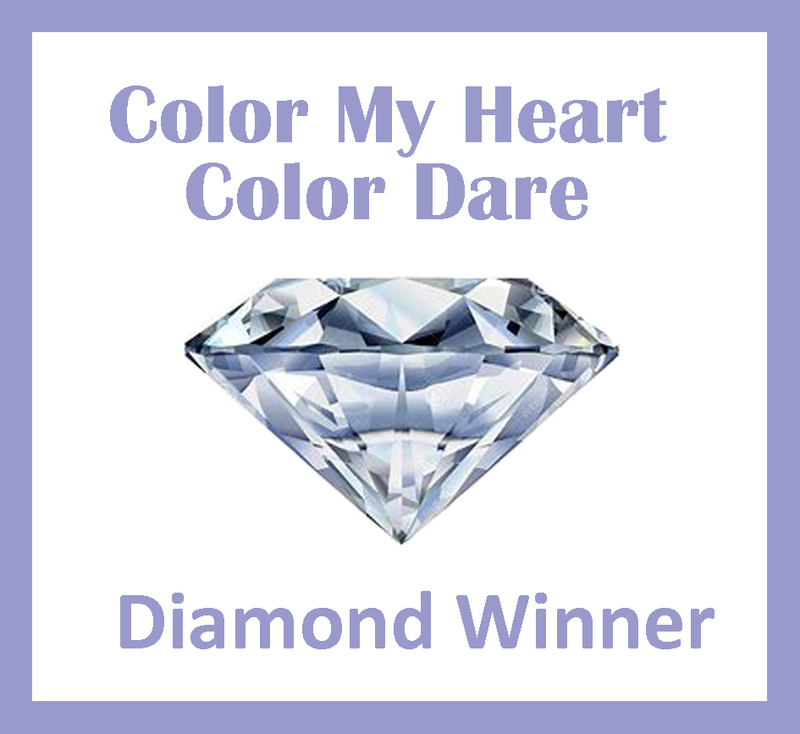 Thanks for hopping by...your next stop is Vicki's Blog!!! 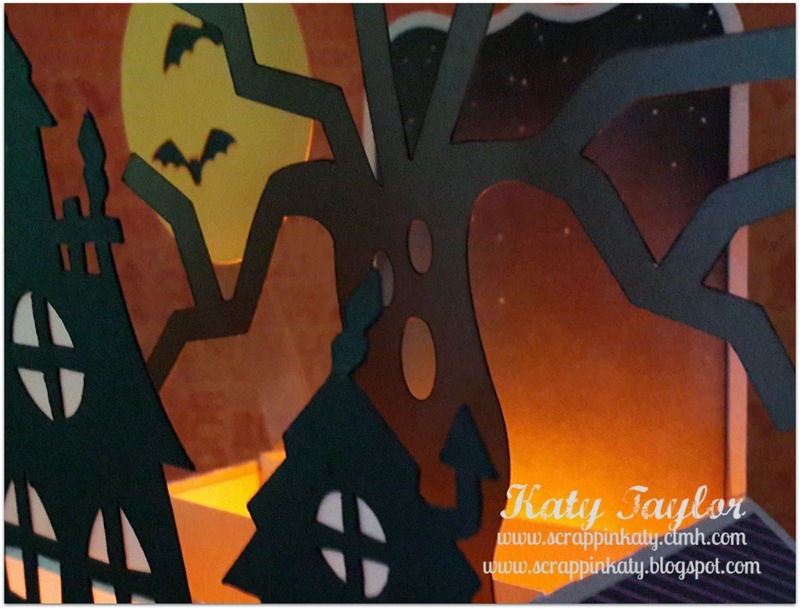 This week, to keep with the Halloween theme, the SOUS Die-Cut girls are challenging you to use your die-cuts to make a "trick or treat" project!!! 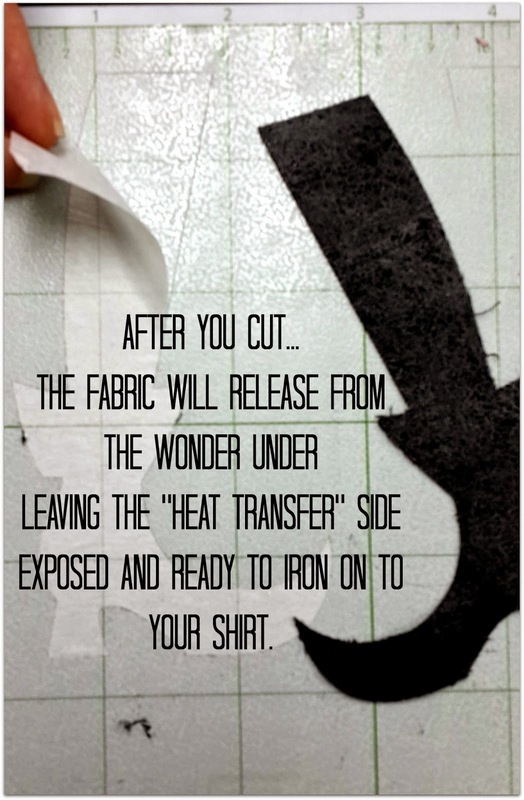 Cut all your pieces - if your machine has a "fabric" setting use that, otherwise use a deep-cut setting to get a clean cut...you may still have to trim some strings here and there. 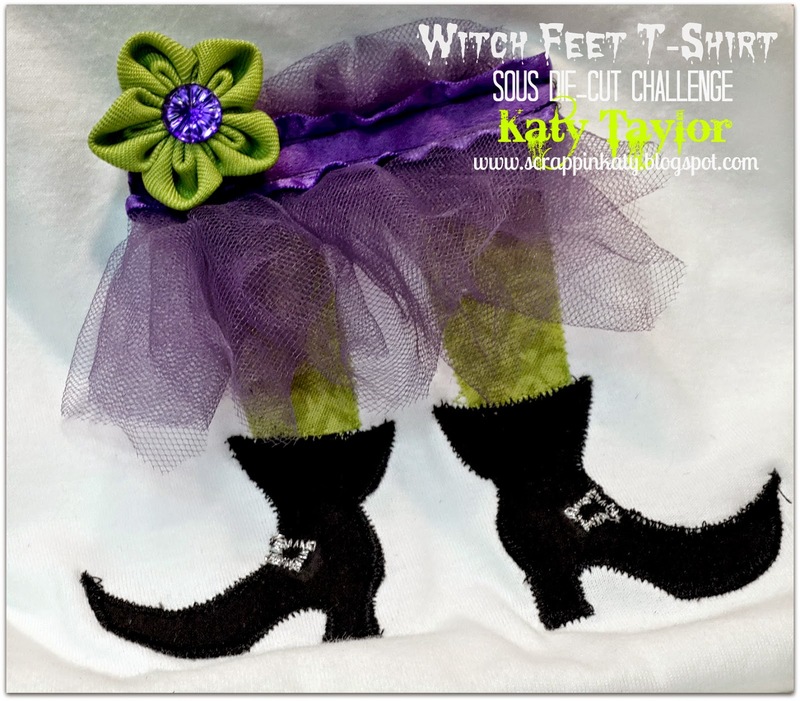 Zig-Zag stitch all the way around your images for an applique look. 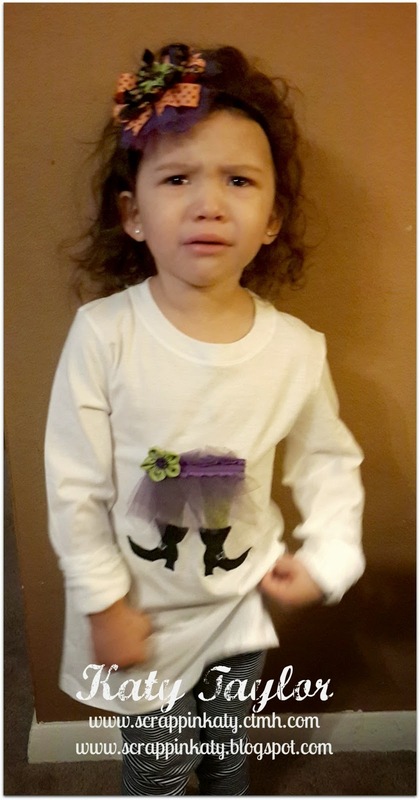 Here's a picture of my daughter this morning wearing her outfit...as you can tell, she's at the age where picture-taking is the LAST THING on her want-to-do list...lol I also bought the shirt a size larger because she actually won't be wearing this 'till next year since she already has one for this year. 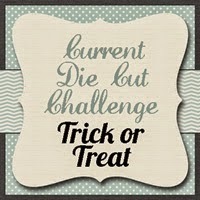 Don't forget to visit the SOUS Die-Cut Challenge and play along with us!!! 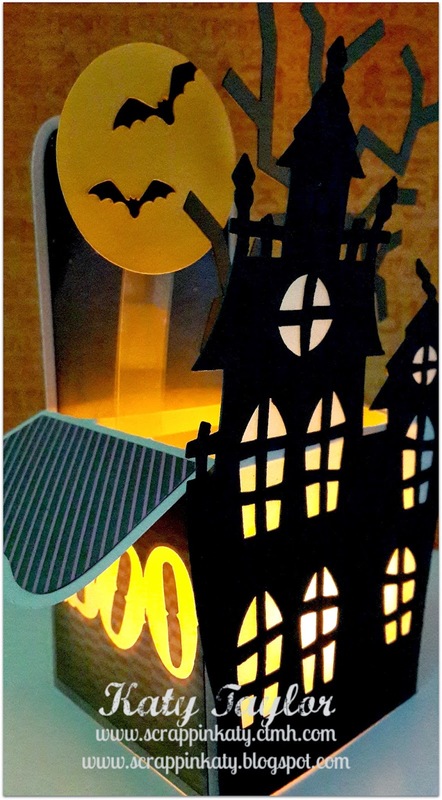 Also...while you're over there, take a look at the other DT Members and what they've created Trick-or-Treatish!!! I don't think I ever posted this so this a #tbt that hasn't been seen before. 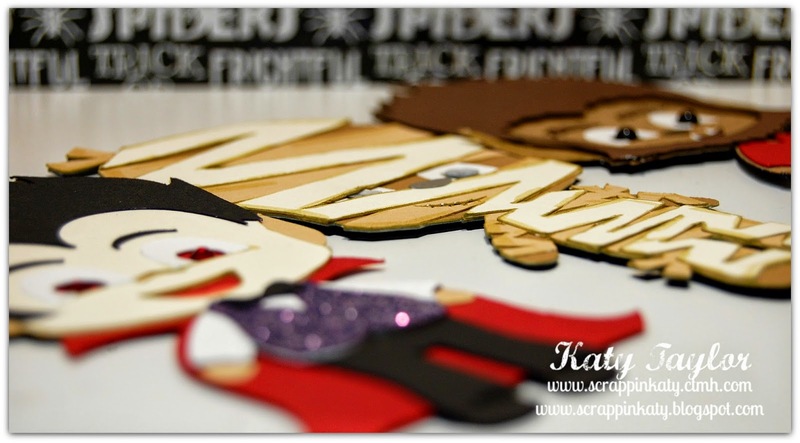 I did ALL OF OUR wedding invites, RSVP's, anything and everything that could be DIY'd was! 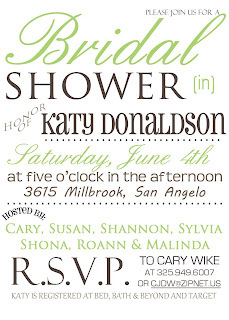 Invitation that was used for Hand Deliveries...it had a big bow on it since I didn't have to worry about mailing it. 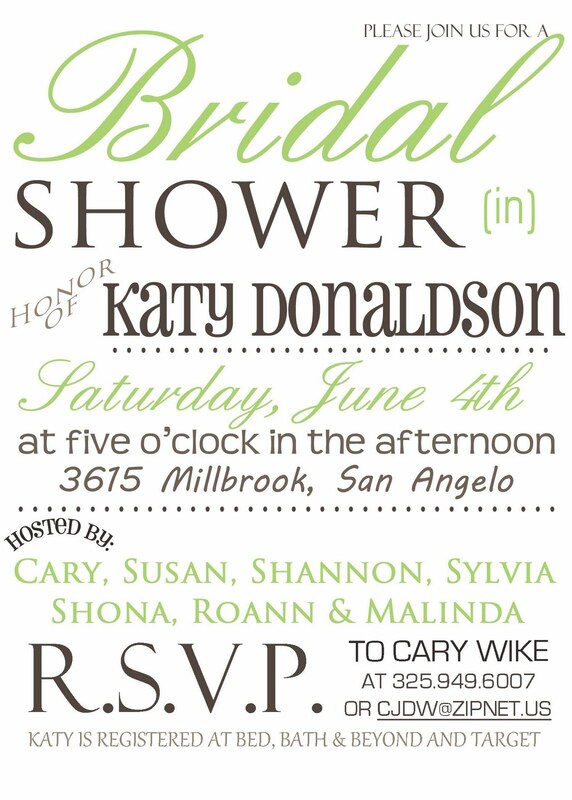 Yes...I'm a control-freak and created my own Bridal Shower Invitation...lol...it had to match everything else so why not do it myself!!! 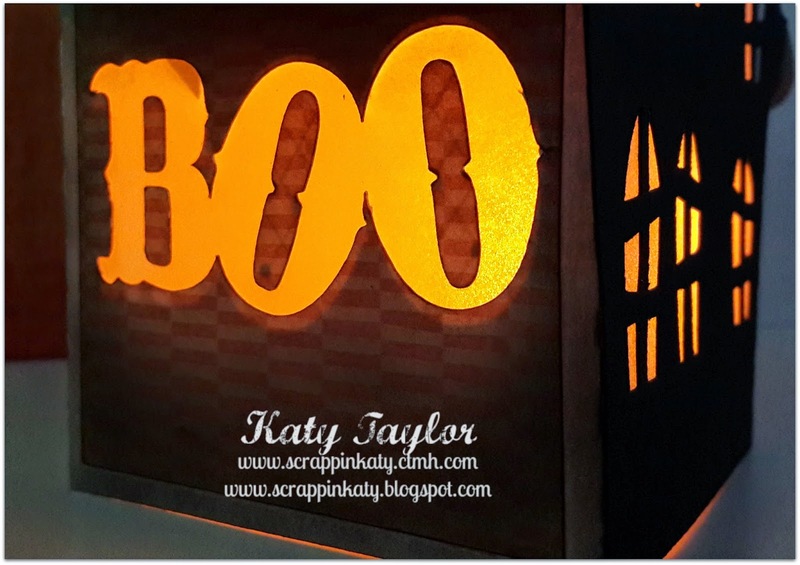 Welcome to DTC Challenge #87...anything goes so show us your projects that will help you decorate your next celebration! 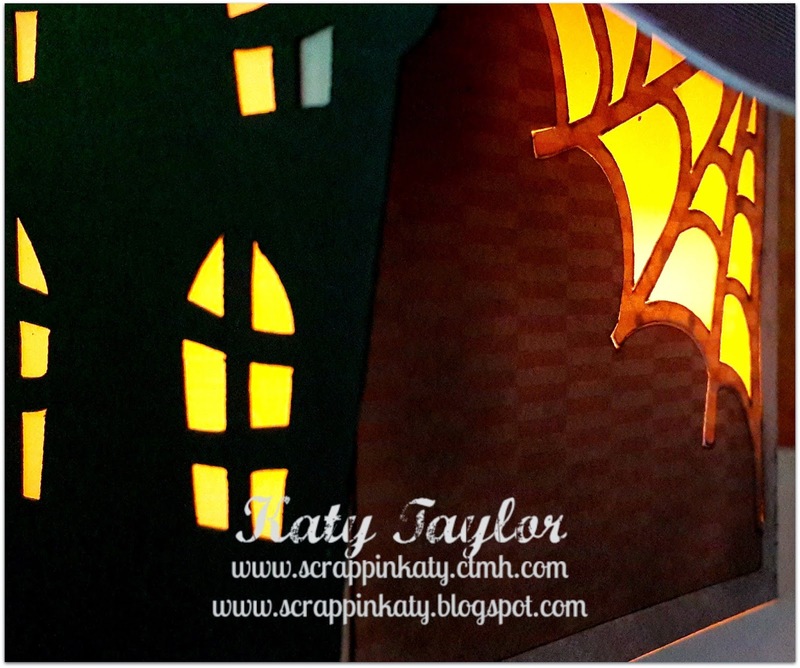 Halloween preparations are in full force everywhere you turn. 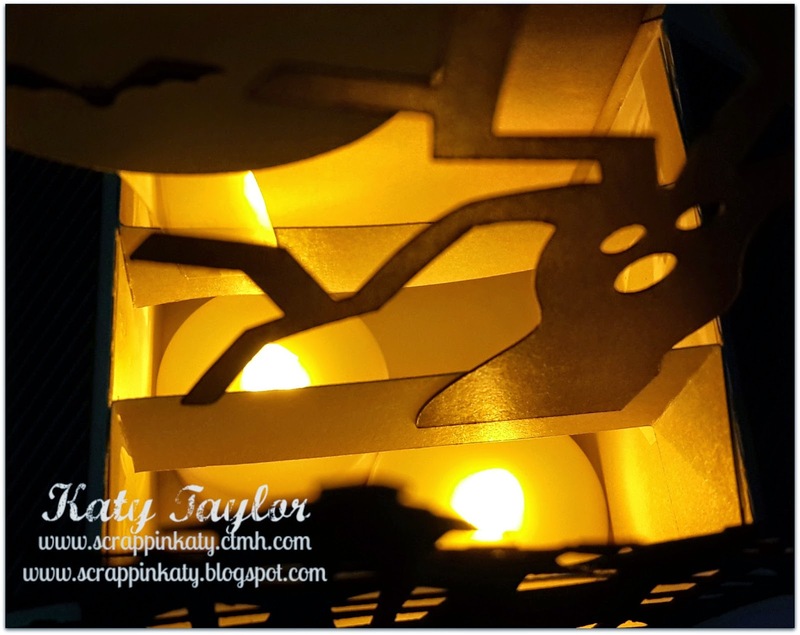 We pin a BUNCH of "oh that's really cute, I can do that this year for so-and-so's class"...but then run out of time and never get around to doing it! 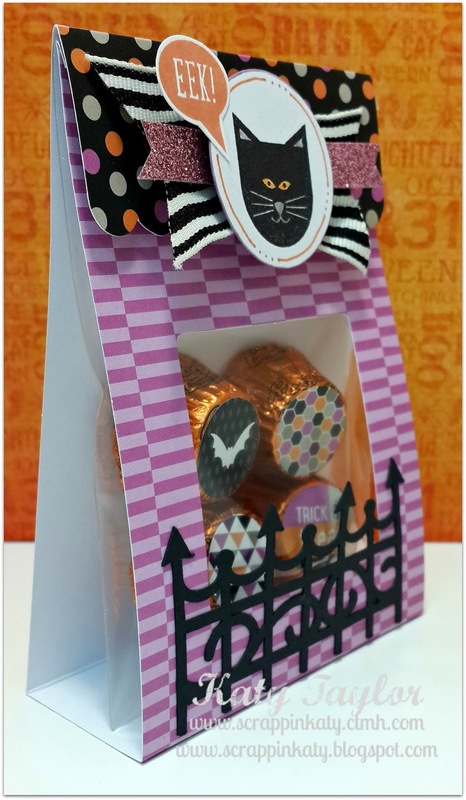 These Cut Above Halloween Treat Bags from CTMH make the treat-giving EASY!!! 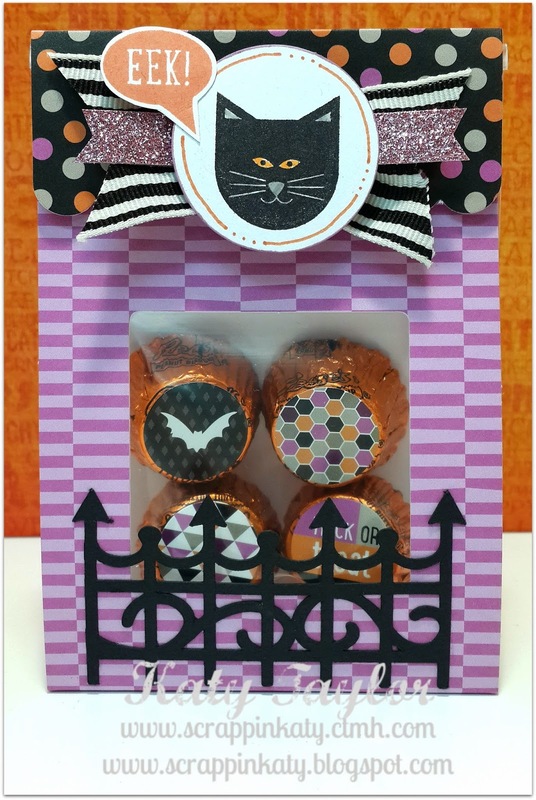 You can put any candy you'd like...there are round stickers to adhere to your candy to add some embellishment and fun, cute sayings! 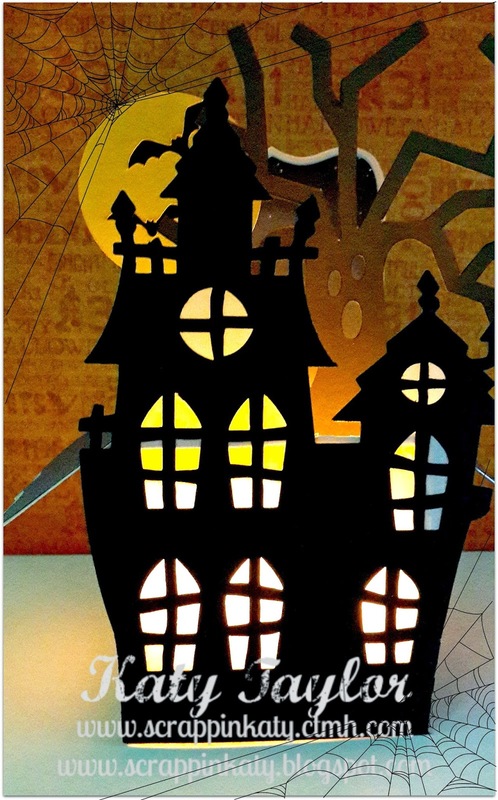 These bags can be used for your next party...DECORATE TO CELEBRATE!!! 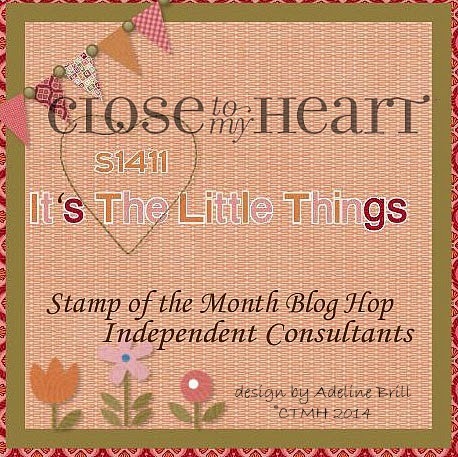 CTMH also has a Holiday Treat Bag Kit as well...each kit comes with everything you need to complete 10 bags...all you have to provide is the candy and the cute little stamps for the center circle!!! 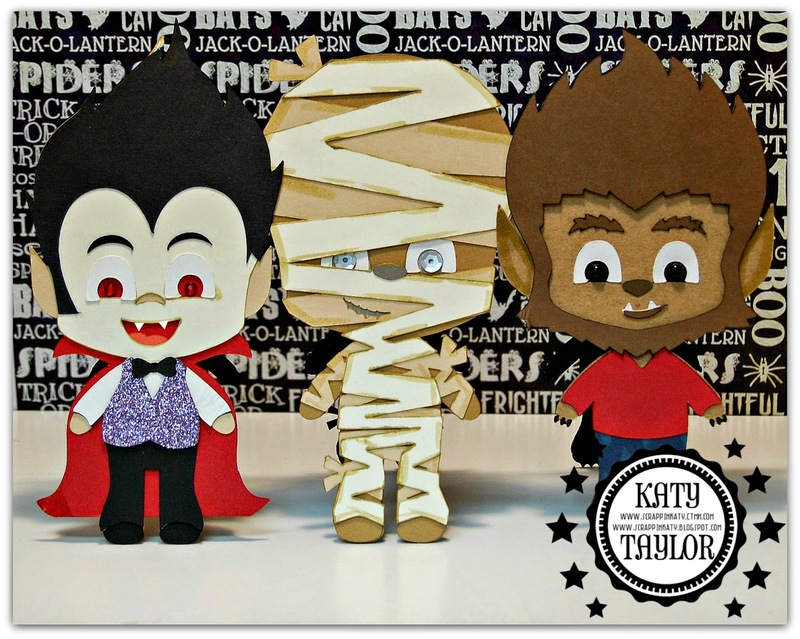 Head on over to DTC #87 post and see what the other DT Members made and to link up your own project! 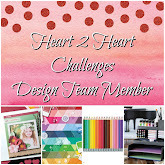 Don't forget to visit the H2H Blog and check out what Midnight projects the other DT members came up with...and don't forget to play along! 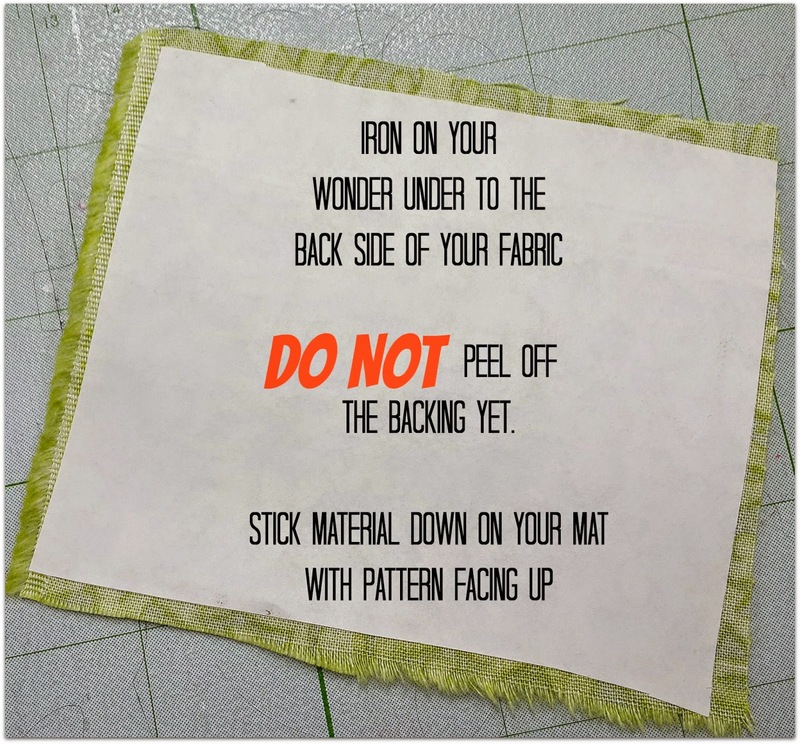 You'll have 'till Friday to link up your project! 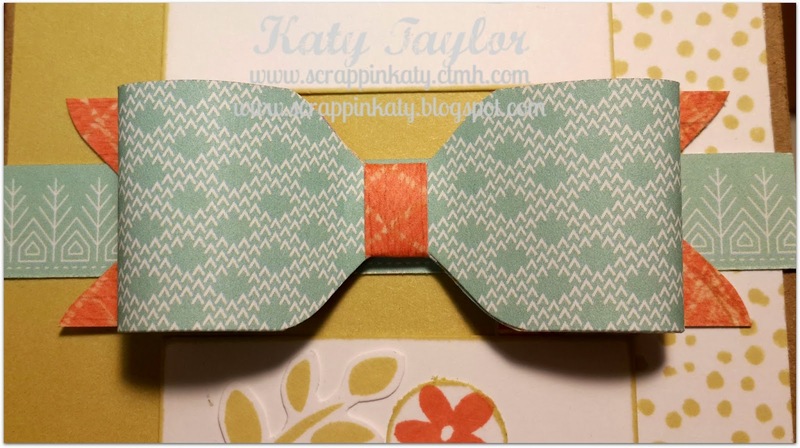 Here's the SVG Cut File...it's the Scalloped Box Card in the Box Cards Kit! 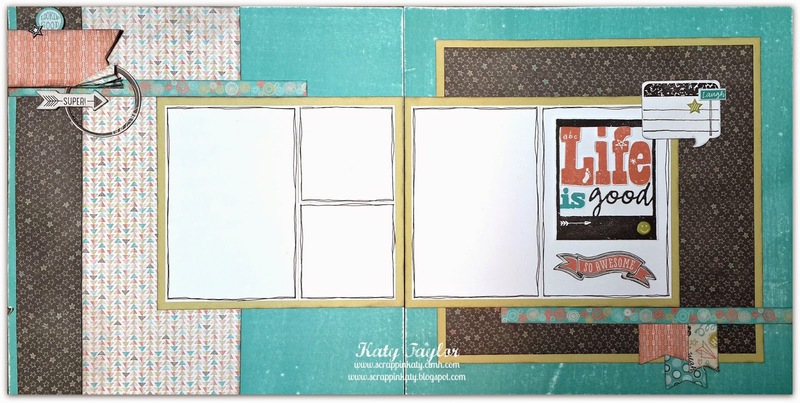 Chalk It Up probably is one of my favorite of ALL TIME paper packets from CTMH!!! 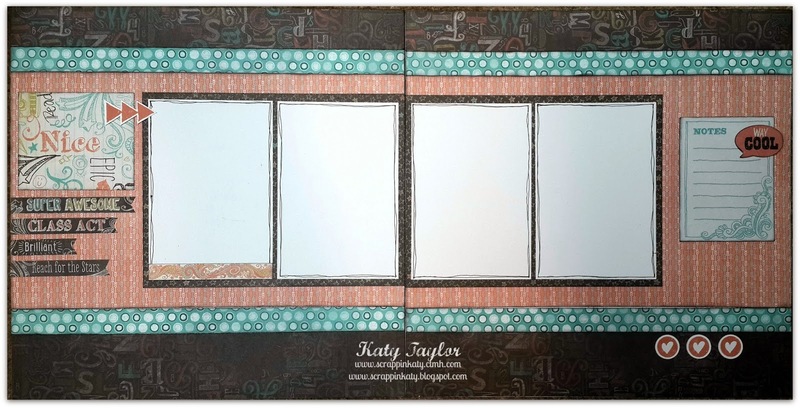 The colors are divine and the chalkboard-type pages are so trendy right now BUT will also be trendy in years to come when my little ones are going through their scrapbooks reliving the memories that will be put on these pages! 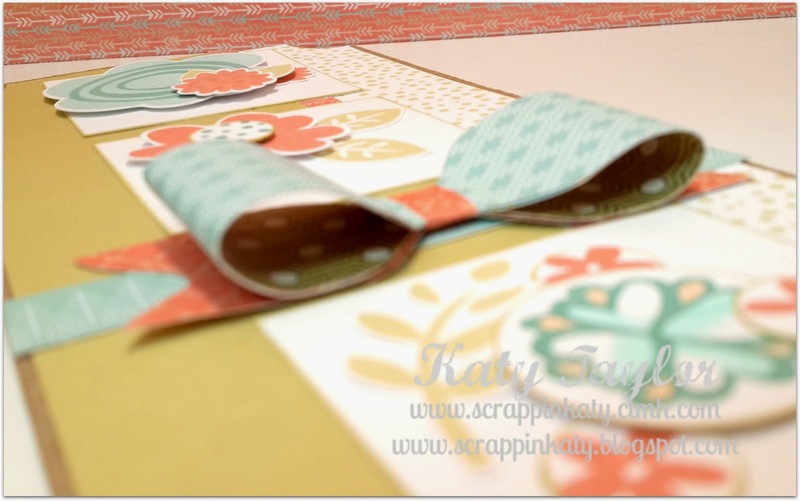 Each month I meet with some local gals and we do some layouts. 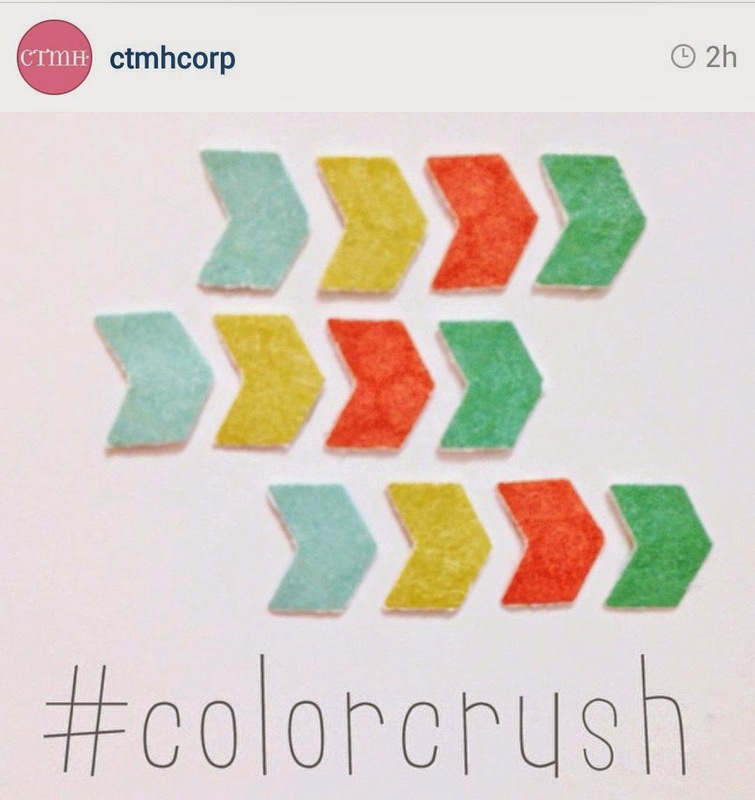 Last month we worked on Chalk It Up and they were sooooo happy with the way these turned out! And...2 of the ladies don't even have school-age children but these pages are versatile enough for them to use them for other thing! 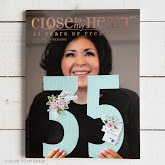 Here are some close-ups using the Chalk It Up Complements...they are dimensional elements (chipboard for you non-CTMH readers)...the big circle was the negative space left over from one of the DE's...I cut around it and used as an open circle! If you're local and would like to know more about out monthly get-togethers, let me know in the comments! If you're out of town and would like to know how you can purchase this kit and make your own, leave me your name and contact information and I'll get with ya! I love the look of the doodling around each Dimensional Element Letter...I'm gonna have to incorporate that into some more projects! 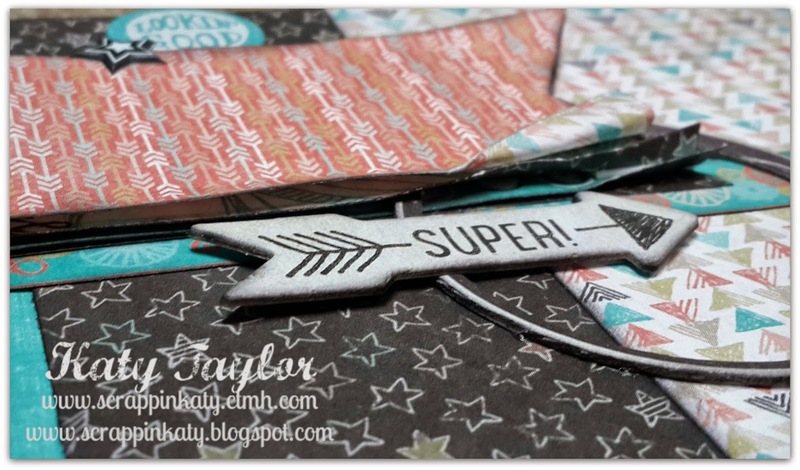 Welcome to this month's Use Your Stash Blog Hop (UYSBH) featuring Chipboard!!! If you've come from Terry's Blog, you're on the right track...keep hopping around 'till you've seen all 6 Blogs. 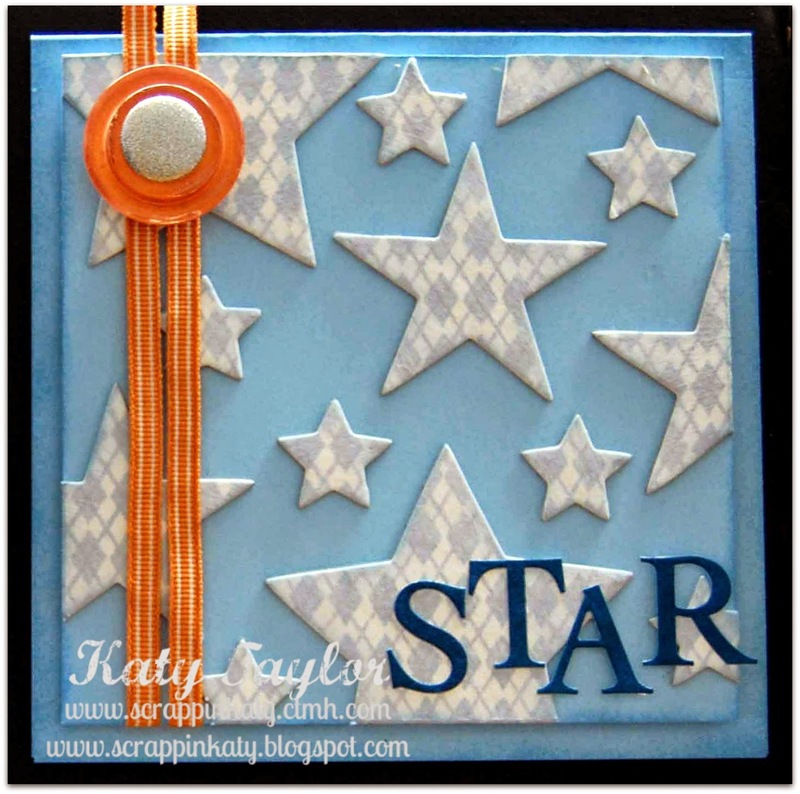 I stamped a bunch of Dimensional Elements Stars then glued them onto some Crystal Blue (retired) Cardstock. 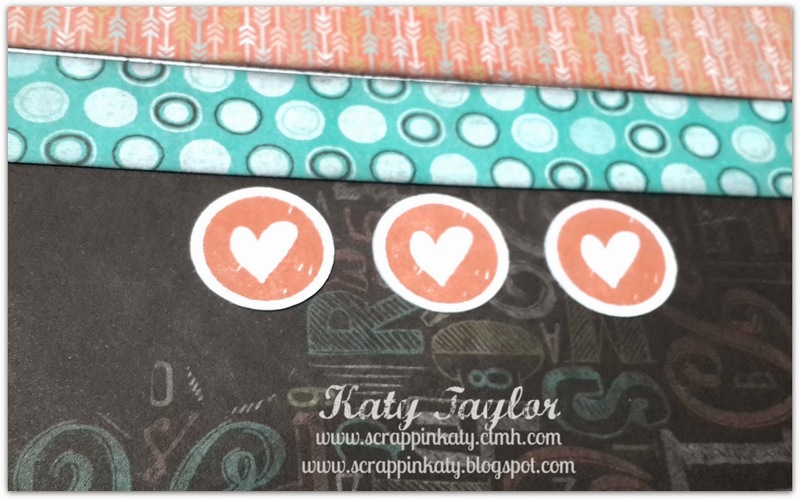 I added a darker blue (Pacifica) for my sentiment and some Sunset ribbon and clear buttons backed with Sunset Cardstock. A shimmer brad is in the center of the buttons to add some bling! 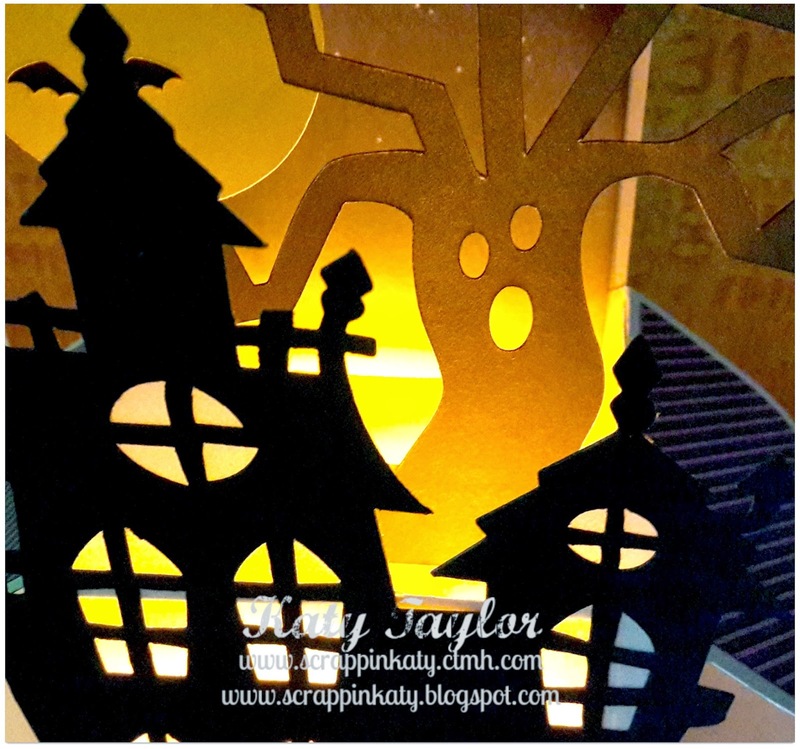 Thanks for stopping by...hop on over to Casandra's Blog and see what she has to share using Chipboard. 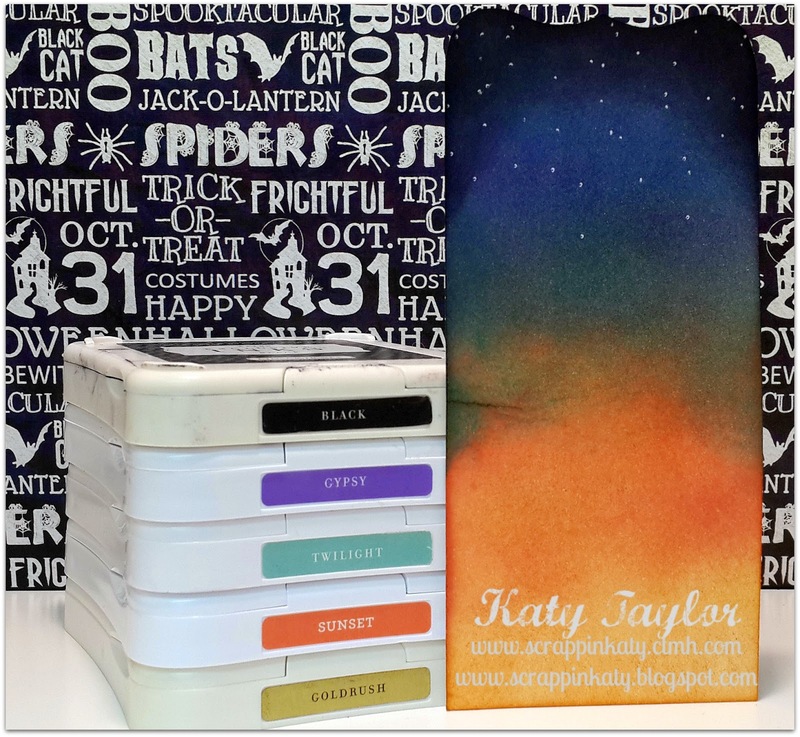 Hope we inspired you to USE YOUR STASH this month!!! 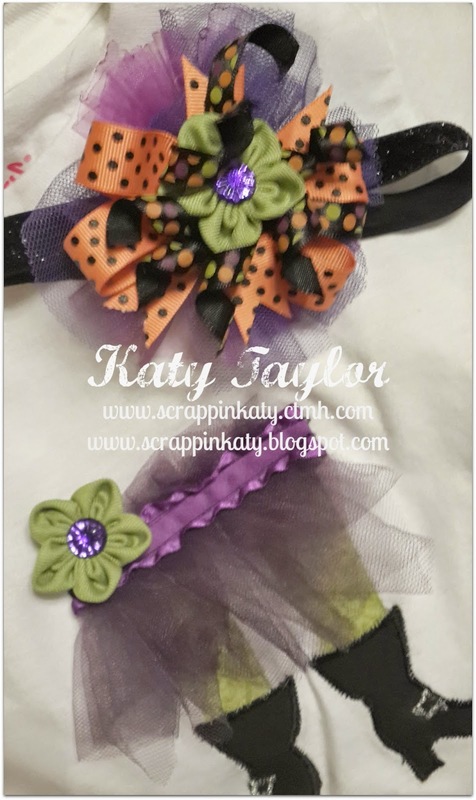 It's my week again over at PPPR (Pretty Paper, Pretty Ribbon) and I have the CUTEST little monsters wishing you a Happy Halloween!!! 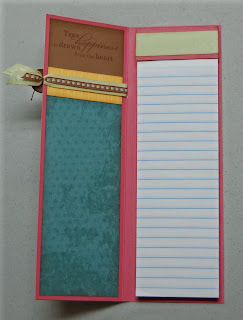 You have to go over to PPPR Blog to see the rest of my project...I promise you'll LOVE all the details!